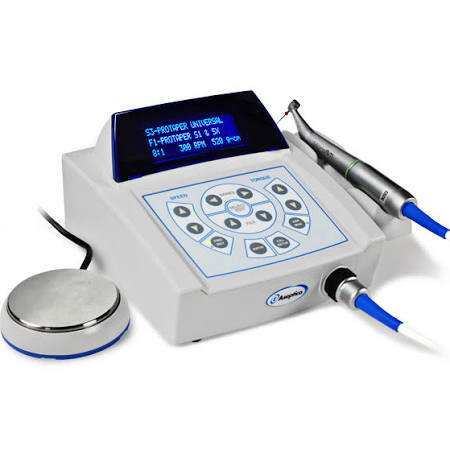 Rotary Endodontic system is a way of performing the root canal utilizing a specific electrical handpiece. This tool often makes the process faster and allows the dentist to perform the process with greater ease. Confidence - Advanced metallurgy offers greater resistance to cyclic fatigue, so you can navigate the trickiest of canals with less chance of file separation. Predictable results - The flexibility of advanced metallurgy combined with innovative cross-section designs enables files to respect the true canal morphology while reducing the chance of ledging and apical transportation. Efficiency - Decrease chair-time for you and your patients with files that offer greater cutting efficiency or by using one of our single file techniques for glide paths or shaping.